Today we're going to count down the top 5 best VPN services that you can use for free on your computer. There are several reasons for wanting to use a VPN in our increasingly security-conscious age the main reasons are that you want to hide who you are, hide where you are and to hide what you're doing from spying ID especially in parts of the world where internet surveillance is a common issue. So we looked at several VPN services and we narrowed down the list to the top 5 best free VPN services that you can use to help keep you anonymous and protected while on the Internet. Most of these services are available on Mac, PC, iOS, and Android. The pros of cyber ghost include no logs being a test allows up to five simultaneous connections and if you opt to the paid version it accepts Bitcoin payments. The downsides of the free version of cyber ghosts are the cap on speed and the advertizement. Although not technically free, surf easy offers you a risk-free trial to let you try it out, if you decide you don't like it you can cancel within the first seven days and pay nothing. It has unlimited bandwidth, very good security measures and like the others on this list has versions that run on most operating systems. However surf easy is not compatible with the Linux operating system. The great thing about hide dot me is the easy-to-use interface. The free version gives you a two-gigabyte monthly data cap. It's certified log lists and allows up to five simultaneous connections. Performance is also really good for a VPN service but the occasional pop up asking to upgrade to the paid version can be distracting. The free version of Hotspot Shield offers a generous bandwidth limit 750 megabytes per day. You have the option to have the VPN automatically enabled whenever it detects the wireless network.One downside of the Hotspot Shield is the annoying advertizements. Coming in at the top spot is tunnel bear. It has a minimalistic design with good encryption. The user interface is also easy to use. They have a no logging policy and they allow simultaneous connections. You probably won't need to change any of the default settings. You can choose the automatic connection option or you can choose from 20 different countries. The free version of tunnel bear does limit you to 500 megabytes of traffic each month, which might be a good way for you to try it out before opting. So this post was about the top 5 free VPN service providers. 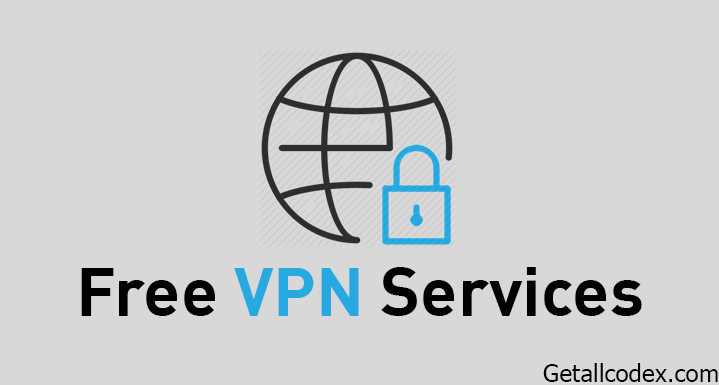 For the less restrictive paid versions depending on your needs, it might be best for you to go with a paid VPN service. That offers less restrictions than those mentioned in this article. If you have any questions regarding this article then leave it below in the comment section, we will try to answer each of them thanks.